Compact crossover gets modest mid-cycle updates. The 2020 Kia Sportage gets its first update since being launched for the 2016 model-year. Bigger seems to be better these days, especially when it comes to trucks and utility vehicles. We’ve seen all manner of new full-size and heavy-duty pickups debut in recent months, along with large-larger-largest SUVs and CUVs. That includes the all-new Kia Telluride. But what if someone doesn’t need a honking big, three-row ute? 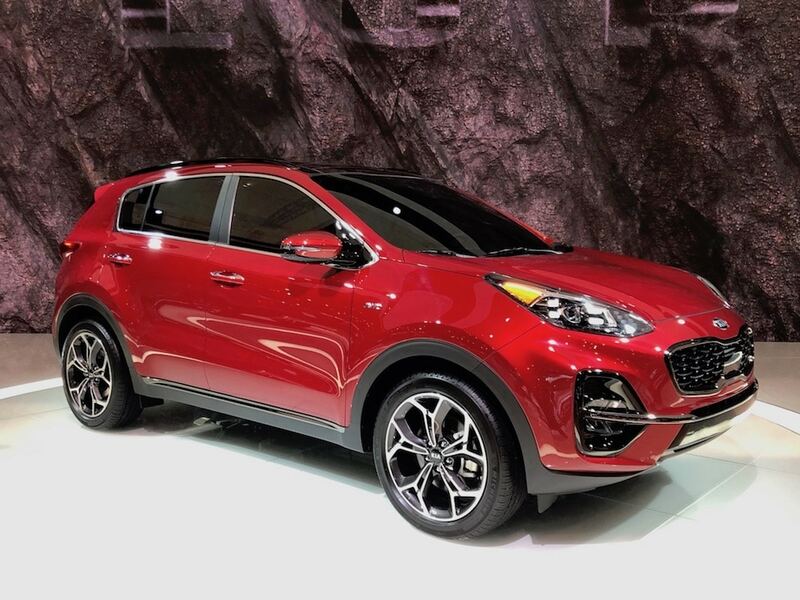 Kia has rolled one possible answer into this year’s Chicago Auto Show in the form of its updated 2020 Sportage model. Originally introduced way back in 1994, when it was produced in classic, body-on-frame form, the Sportage has gone through a number of updates over the years. It has morphed into a modern-looking, car-based crossover, the fourth-generation model launched for 2016. That means what we’re seeing in the Windy City is a mid-cycle update. That said the 2020 Kia Sportage gets some welcome updates both outside and in, along with the addition of new convenience and driver assistance features. The update retains the more rolling, almost coupe-like roofline first seen nearly four years ago, though the now-familiar Kia tiger-nose grille is a little more rounded. The overall look reflects the popularity of the compact CUV in the European market. Interior changes for 2020 are modest and focus on telematics and infotainment updates. 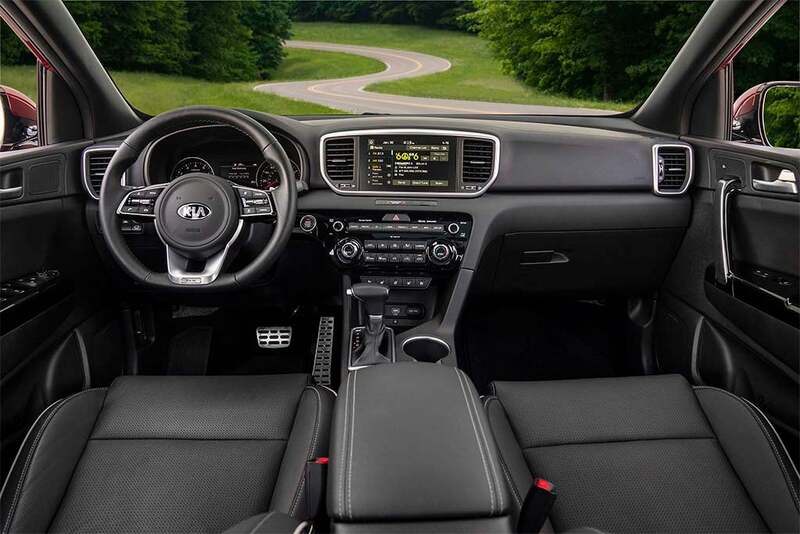 Interior changes are modest, including an 8-inch touchscreen with Apple CarPlay and Android Auto, as well as an available navigation system, optional wireless smartphone charging, and a newly redesigned steering wheel. There are an assortment of new advanced driver assistance systems, or ADAS, on the 2020 Kia Sportage, including Lane Keeping Assist, Forward Collision Assist with pedestrian detection, Active Cruise Control with stop and start capability and High Beam Assist. Under the hood, the 2020 Kia Sportage retains its current powertrain options. That includes a 2.4-liter direct injection four-cylinder package making 181 horsepower and 175 pound-feet of torque, as well as the upgrade 2.0-liter I-4 turbo that punches out 240 hp and 260 lb-ft.
Pricing for the 2020 Kia Sportage will be released closer to the ute’s on-sale date before mid-year. This entry was posted on Thursday, February 7th, 2019 at and is filed under Auto Shows, Automakers, Automobiles, Chicago, Crossovers/CUVs, First Look, Kia, Markets, Product Reveals, Safety, Safety, Sales, Technology, Technology, U.S./North America. You can follow any responses to this entry through the RSS 2.0 feed. Both comments and pings are currently closed.